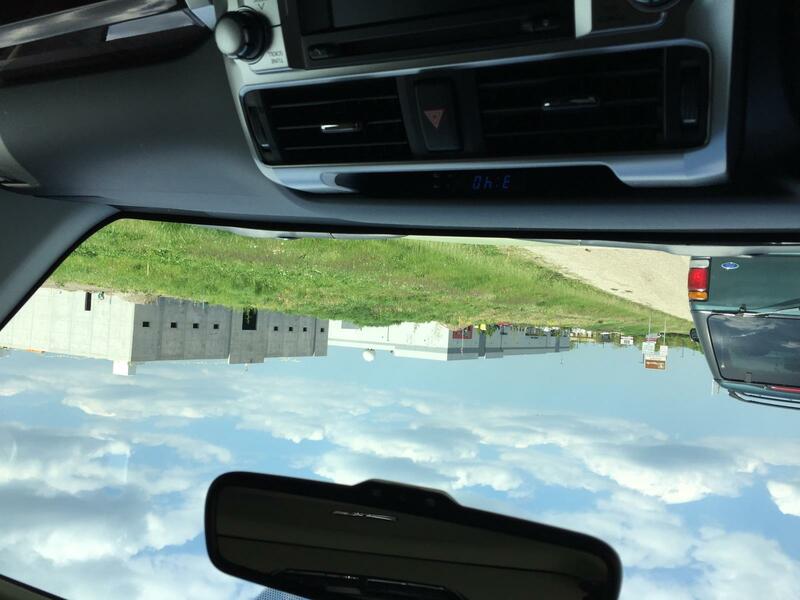 "The people going to that range are going to be very safe," said Bill Novack, director of Naperville's Transportation, Engineering and Development department. ^^ Nice to hear FUDS won't be slowing it down. My only question is what they mean when they say "opening soon"? Based on posts here about Range 355 building schedule my guess is 8-12 months...so probably realistic to expect Range would be open by this time next year. OH so sweet and perfect. This will be around the corner from me. And their prices for a monthly pass are only $35 which would be recovered if one stopped by twice a month. Edited by aka, 08 April 2017 - 07:31 AM. Yikes - so glad I live down south. My ranges yearly membership works out to less than $17 a month. I feel bad for you guys up north. Here is a picture of the Point Blank Range. I was driving by today and took this picture. The outside building is complete though is is just a shell inside. They seem to be working on it really quickly. Sorry for some reason unknown to me the picture is being attached upside down. Edited by aka, 12 May 2017 - 03:16 PM. Great progress. I'm surprised they are going as quickly as they are. Edited by InterestedBystander, 12 May 2017 - 03:23 PM. Yes, iPhone. Do you know why the picture loads upside down? Any help will be much appreciated. Yes I was surprised too. A couple of weeks ago there was almost nothing there but some trucks. Then boom the building is up. This is so close to home it make me break into a happy dance. Is Maxons new place making progress too? I dont remember the why, it was just from some other threads about upside down pics and it was an iPhone thing. I guess your volume buttons need to be pointing down??? Dunno, Im an Android guy. Edited by InterestedBystander, 08 June 2017 - 01:31 PM. I am not sure where the Maxxon's place is or what the status is. I will check it out since I pass by that area frequently. As far as the photograph upload is concerned I figured it out. It is Apple iOS being very efficient and MS not using standards combination that is the cause. Had to go look up Maxons location which turns out to be in Warrenville. Yes I saw that but the last time went through that area there was no sign of any construction and I did not see any signs. Meanwhile Point Blank which was announced at the same time seems to rolling right along. Hopefully this one will come up soon. Choices - the American Dream. Happy Mothers Day. Looking on a map, that is the location of Top Golf. Next to it is Iron Gate condo's. I drive by there twice a day. There is ZERO construction happening there. I live right by the new Maxon's location. I can't even tell where they would build or even if they've started. Between the golf range and the car condos I don't know where it's going. Edited by InterestedBystander, 16 May 2017 - 10:27 PM. I was confused...Maxxon's and Point Bank are two different ranges which will open in approximately the same area? Wow...hope both businesses can survive the competition. Will be interesting to how their presence will affect JR Shooting Sports...maybe they'll improve their infamous bad customer service. Well Maxxon's has not broken ground and I cannot find any more information about their range. I sent an email to them and no reply. On the other hand Point Blank will be opening its doors sometime in the fall. I sent them an email and got a prompt reply (well 2 days which is good). And yes I think JR Shooting Sports is likely to see a drop in the traffic. And I also expect that they will offer similar deals as Point Blank. If Maxxon's ever opens I think there is enough traffic to keep them all busy. I was at JR's today and it was reasonably busy. I can only imagine the kinds of slurs and abuse John would heap onto Indian Americans. I can't bring myself to darken his door. I have been going to JR's for a long time. They treat me just like anyone customer :-) The truth is John treats me better than he treats a lot of other customers. I try to not get into controversies or discuss anything other than range time. It works. Drove by again yesterday, no sign, no hint of construction other than a little dirt grading that looks like it's for the auto mall. So...he treats you like $hit. Like an inconvenience. Huh? Which is it? I haven't entered the place in 5 or more years after being treated like dirt on a few different occasions including one trip that I purchased a new TRP on. I wonder how much it takes to be talked to like a human there? Yup I agree - I will most likely spend my shooting time in Point Blank since it will be next door to me. No more JR or Article 2. I might still go to Buffalo Range since it is outdoor and I don't have access to another outdoor range. I am planning on getting the monthly $35 pass which allows you to shoot as much you want. Passed by today and they are busy building the range. Called Maxxon's and was told they plan to break ground soon and open by end of year. I don't know why anyone would go to JRs for rentals because they charge $20 PER GUN while Point Blank, Range 355 and Maxxon's have various multiple rental options for one fee. Oh yes. They have an ad posted on their website for store clerks.